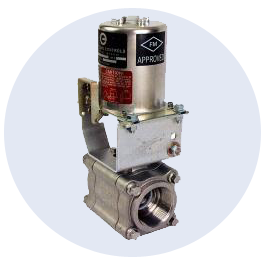 These emergency shutdown valves with fusible links (ESD) include manually operated ball or butterfly valves. If a fire occurs, the thermal link either automatically stops the flow of flammable liquids (in a normally open configuration) – or opens flow to release a fire retardant or divert the flammable material (a normally closed configuration). 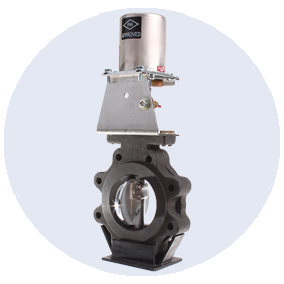 The assembly is unique in the industry and requires little to no maintenance, since its U.L. listed fusible links are installed with a lever design – rather than bearing 100% of the spring tension. Using this design, the FM Fire-Safe’s fusible link holds up to many years of use and, unlike other thermal shutoffs in the market, does not need to be replaced on an annual basis. The FM Fire-Safe is also available with an electro-thermal link (ETL) which is compatible with most smoke or gas detectors. The operating range for the electro thermal link is 6-30 VAC, or 6-30 VAC, and requires less than 0.2 amperes of power, 0.5 milliseconds at 24 volts. The electro-thermal option is used with fuel and combustion control applications, combustion safeguards, and electro-signaling systems that are heat activated, smoke or gas activated, flame-energy activated, or activated by rate of rise or maximum temperature. 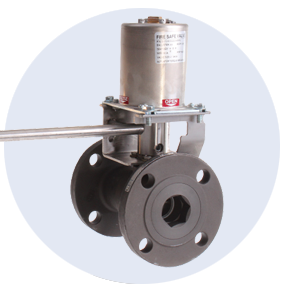 A unique, removable handle allows the valve to manually operated locally or remotely from over 30 feet without affecting the fusible links. The removable handle prevents injury or damage from the high-powered quick acting handle in the event of fire actuation. The online configurator provides a part number and a quote, which can be saved, printed, emailed, or processed for purchase. More information on the FM Fire-Safe Shutoff is available online at https://assuredautomation.com/firesafe/index.php. 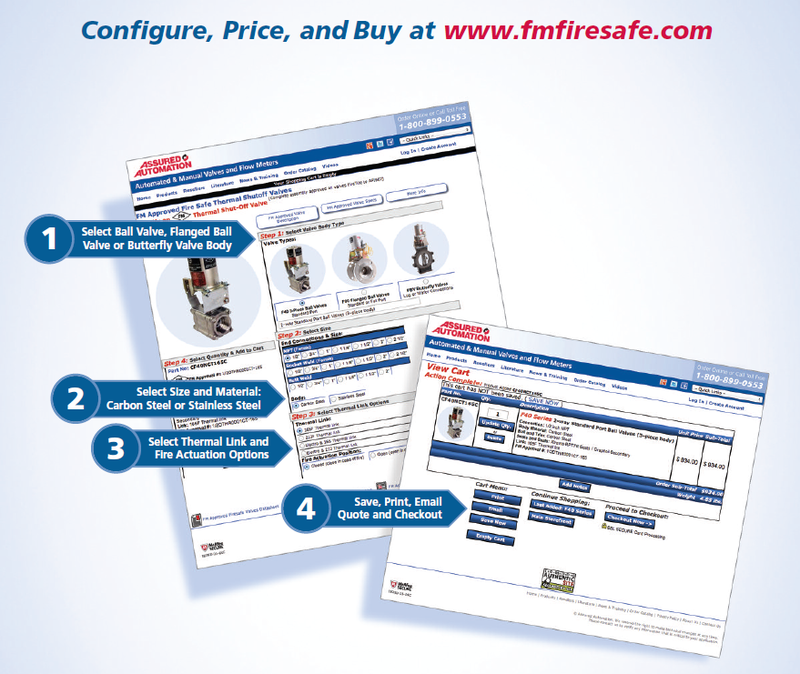 The online configurator tool is available at http://www.FMFireSafe.com. Assured Automation technical representatives are also available at 800-899-0553. This entry was posted in Biofuel Industry, Emergency and Fire Safety Valves and Devices, Flavor/Fragrance, Food/Beverage, Industrial Laundry/Washing Equipment, Latest News, New Product Announcements, Pharmaceutical, Plastics and tagged 2-Way Ball Valves, Automatic Gas Shutoffs, Butterfly Valves, Fire Safety, Thermal Activated Gas Shutoffs. Bookmark the permalink.